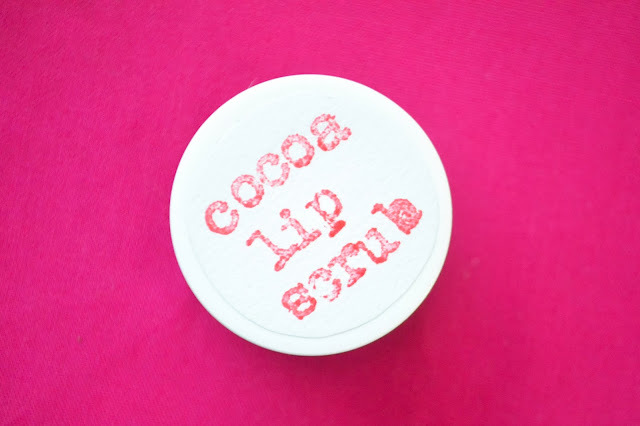 In anticipation on the blisteringly hot Perth summer and the blisteringly bright lip colours I hope to wear, I made a handy dandy lip scrub to whip my lips into shape. Winter was a cold hard mistress and my lips definitely suffered! 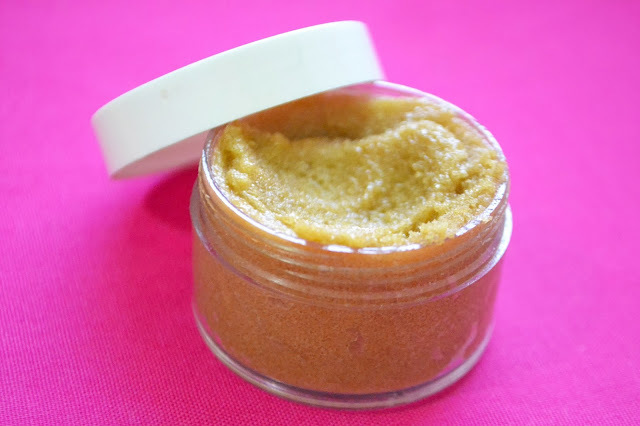 I used to just give my lips a quick scrub with my toothbrush after brushing my teeth but I decided that this delicious sugar lip scrub is a way more fun way of getting the same job done! Read on for the recipe! For my label, I used these stamps from Typo on a circle of paper which I just glued onto the plastic top. All you have to do is melt down the cacao butter and coconut oil and let it solidify before mixing in the brown sugar. Then, just transfer the mix into your container, slap on a label and go nuts! 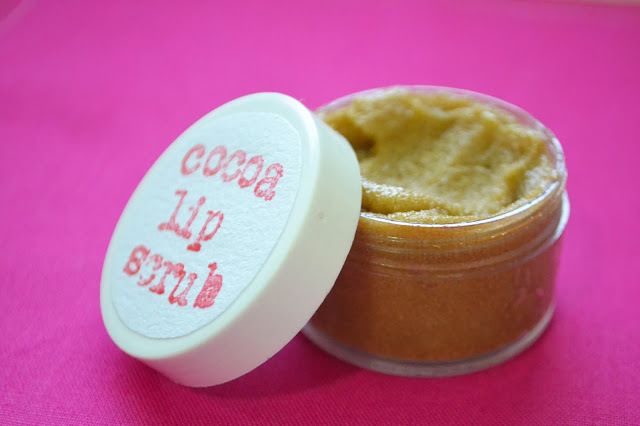 To use your lovely new lip scrub, just scoop out a fingertip's worth of scrub and go to town on your lips, sloughing off all the dead skin. Be gentle though, you don't want to break the skin. As delicious as it is, try hard not to lick it off your lips. Licking your lips dries them out something crazy so doing that sort of defeats the purpose of this whole palaver! Use a soft, damp washcloth to take off the residue. Afterwards, make sure to slather your lips in a rich lip balm. 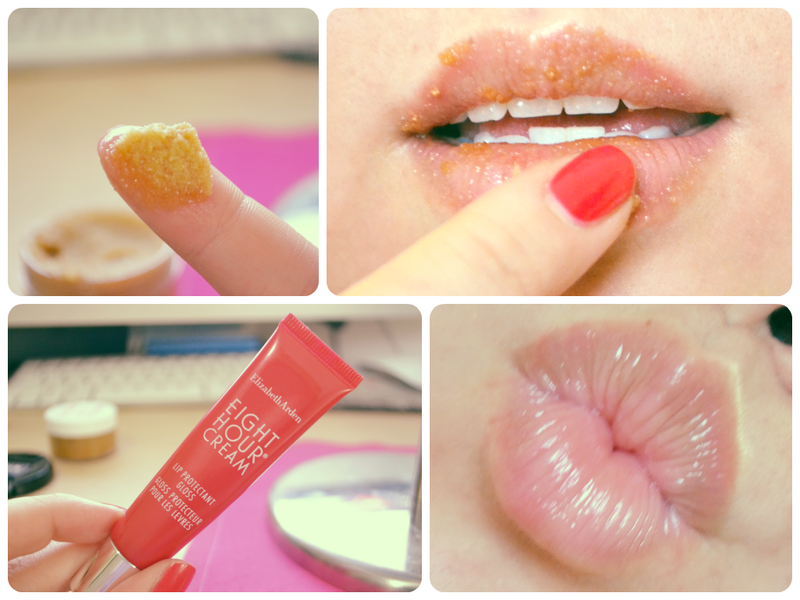 I like this Elizabeth Arden Eight Hour Cream Lip Protectant Gloss, which ticks all the boxes. It has a lovely light scent, the thick texture is more gel-like than sticky and best of all it's super nourishing and is full of Vitamin E! It is a bit pricey as far as lip balms go (about 25 clams) but believe me when I say that this is the Rolls Royce of lip balms and one tube will last for an absolute age. Then enjoy painting your kisser with the whole spectrum of bright and beautiful lip colour. I know I will! Is it possible to make it with something more fruity? What would you suggest? Thanks! If you wanted to make this fruitier; I would eliminate the cacao butter (it's pretty strong smelling) and just use coconut oil then mix in some lime/lemon/other type of citrus zest or maybe some sweet orange oil. One thing to note though, if you're using fresh ingredients (zest etc. ), your lip scrub might not keep as long as something with shelf stable ingredients would. One other idea is to check out craft stores to see if they have any lip balm flavouring oils. Hope this was helpful! how long would this keep? I'd like to make them as xmas presents. thanks!